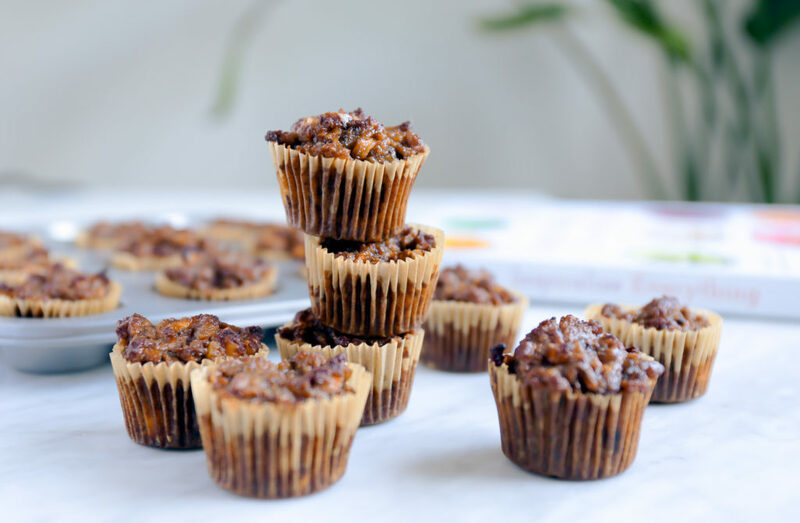 Grain Free Apple Walnut Breakfast Muffins + Cookbook and Inspiralizer Giveaway! I’m not typically a huge fan of the breakfast muffins. They’re too sweet and really carb-heavy, spiking my blood sugar and leaving me hungry (and often hangry!) way before lunch. 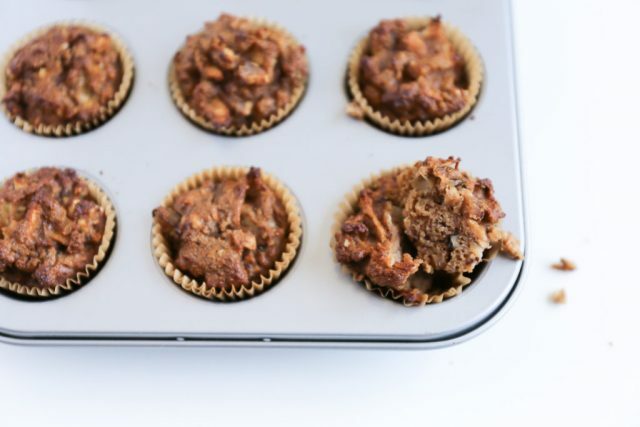 These grain free apple walnut breakfast muffins, on the other hand – well, they’re none of those things. 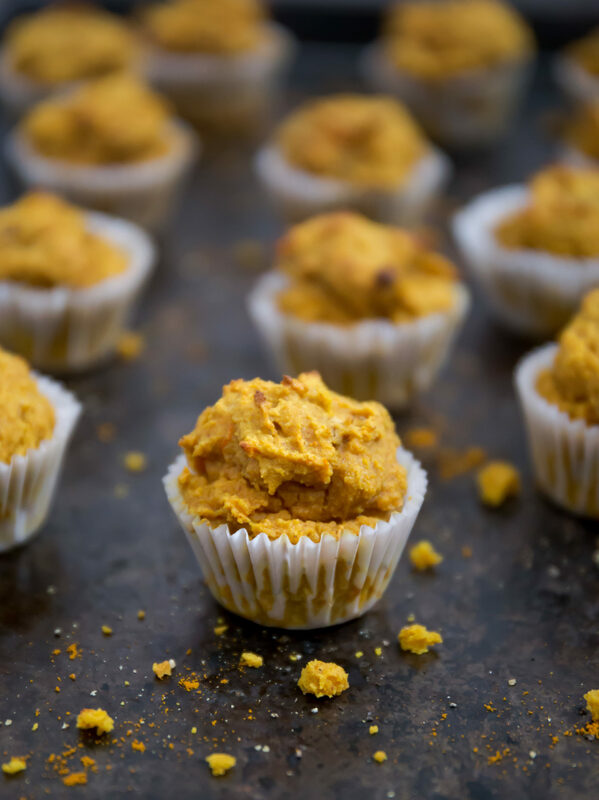 They’re gluten free, grain free and packed with protein and fiber. They’re sweetened with banana and the sweetness, while present enough to bring out the spices (nutmeg and cinnamon, wha wha??) isn’t in-your-face. Basically, this is a muffin I – a decided muffin-hater – can eat for breakfast, or for any time really. It’s the work of Ali Mafucci, the mad genius behind the Inspiralizer and the new cookbook, Inspiralize Everything, which is an encyclopedia of spiralization. Basically, Ali walks you through every fruit and vegetable that can be spiralized, telling you exactly how to make the most of it. I was lucky enough to taste some of her food (hand-made by her for a crowd of 60 at her launch party – did I mention she was a mad genius??) and it is so good. The carrot hot dogs (I ate far more of these than each person was supposed to get – shhh! 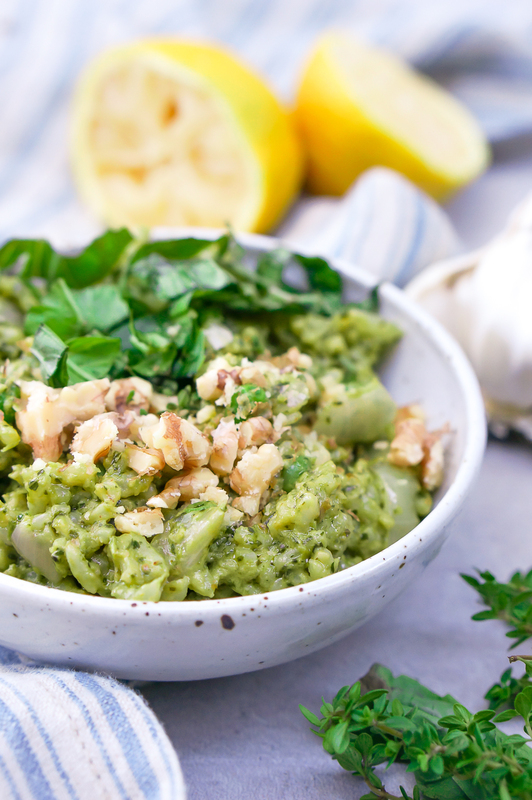 ), the butternut squash lasagna – you can even use a spiralizer to make risotto! Ali also gives instructions for all of the recipes to be made without a spiralizer for those of you who haven’t yet jumped on the bandwagon, although I’d have to ask those people why they’re ignoring said bandwagon because being able to turn zucchini into noodles and sweet potatoes into curly fries is basically the culinary equivalent of performing alchemy. Just saying. Anywhom. Would you like a copy of Ali’s new cookbook, Inspiralize Everything? Of course you would. There’s zucchini bread! There’s french onion soup! An alternative title could’ve been How to Make the Laziest Possible Healthy Dinners, cuz that’s really what’s going on here. 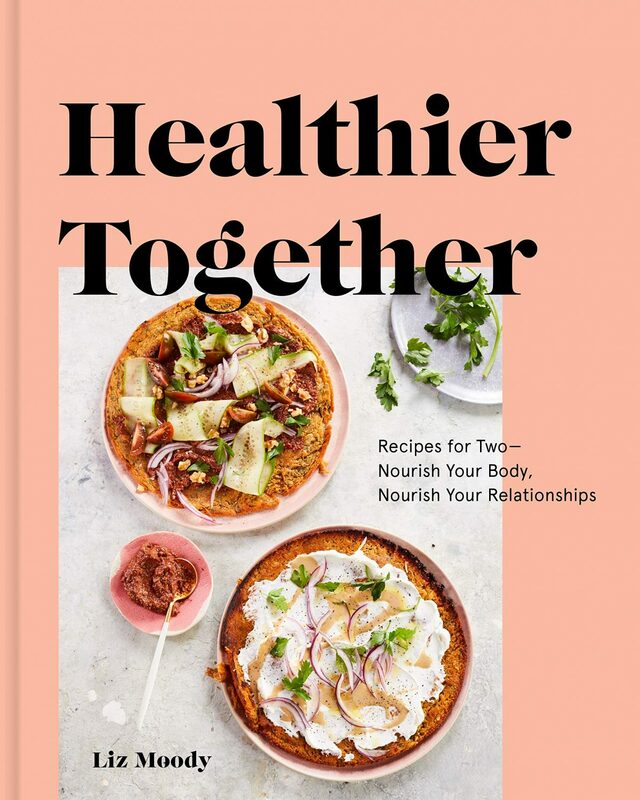 Any time I’m feeling both vegetable and vegging-out deficient, I whip out one of Ali’s books and throw together a healthy recipe in 20 minutes flat. AND to go with said cookbook, do you want an actual Inspiralizer, aka the beautiful spiralization machine you see above? Let me spare you any thinking time and just tell you that your answer is “yes!” I used to be one of those people who thought that all spiralizers were more or less the same. I got a cheap one off of Amazon and thought, “see? It makes noodles. What more could there be?” But. You guys. 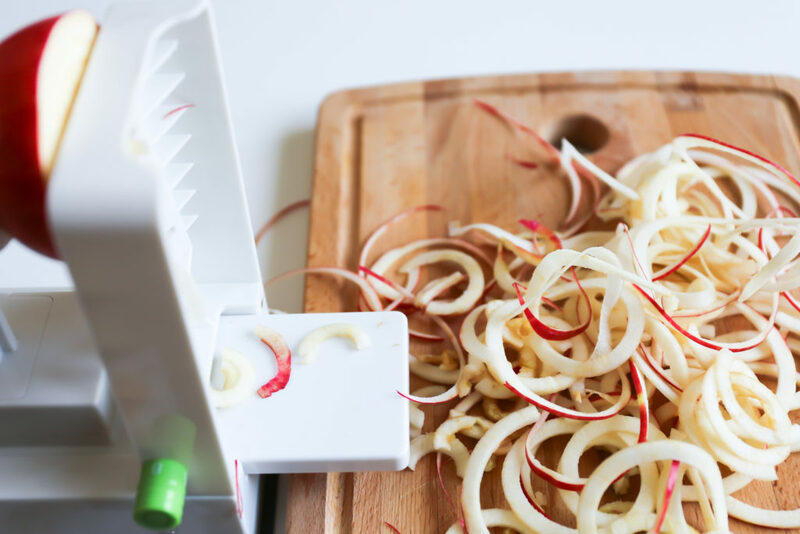 After never using my sprilalizer because it was just annoying – annoying to twist the veg through, annoying to change blades, annoying to get such crappy zoodles as a result – I broke down and bought Ali’s Inspiralizer and oh man, is it a game changer. I spiralize several times a week now – it’s my easiest, go-to healthy dinner, as I mentioned above. It really is better – it’s faster, it’s easier, and it yields way better results. And Ali’s been kind enough to let me donate one to you lovely lot! Enter here to win a copy of the book or the actual, beautiful Inspiralizer itself. If you do any one of the things listed, you get an entry – and you get an additional entry for every additional thing. I’ll draw winners at random next week – so the more entries you have, the more likely you are to win! In the meantime, MAKE THESE MUFFINS. They are so good – I made them mini because I’m mini and thus think all things should be mini. Especially shelves in NYC kitchens, because, real talk, who can reach anything put in the top of those? Pet giraffes? Professional basketball players? But I digress. Make the muffins! Store ’em in the fridge and you’ve got your grab-and-go breakfast covered. You won’t regret it. Preheat oven to 350 degrees. Coat a large muffin tin with cooking spray and line the wells with parchment paper liners. 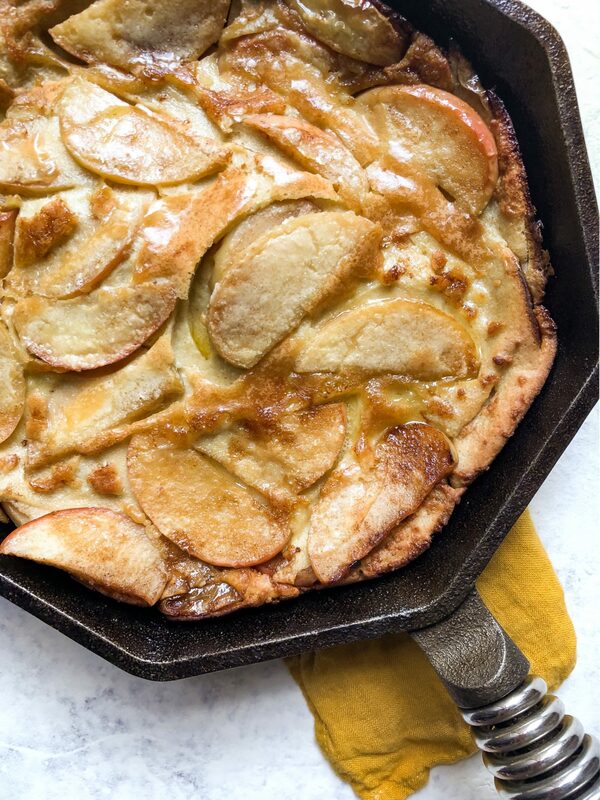 In a medium bowl, combine the coconut flour, baking soda, salt, cinnamon, and nutmeg. In a separate medium bowl, combine the eggs, maple syrup, vanilla, almond milk, coconut oil and banana. Add the dry ingredients into the wet. Add the apple and stir until the batter is smooth. Fold in the walnuts. Pour the batter into prepared muffin tin (I used a mini muffin tin, but either works well). Bake for 20 minutes (for mini muffins) or 30 minutes (for larger muffins), or until a toothpick inserted into the center of the muffin comes out clean.